Disability Staffing Services, LLC (DSS) uses non-traditional corporate training and advocacy strategies to assist individuals with disabilities in securing professional levels of employment. 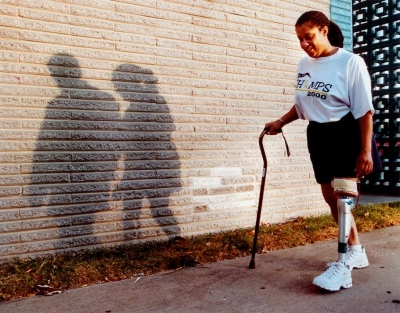 After losing one leg and partial use of the other in a car accident at age 18, owner Renee' Scruggs experienced the disparity and inequitable plight of individuals with disabilities. Born out of her desire to empower these individuals, Ms. Scruggs initially established DSS to increase awareness and assist professionals with disabilities in achieving more equitable opportunities in the workplace and in life. Determined to level the playing field, Ms. Scruggs has taken her message of diversity and inclusion across the country to civic and other groups. Through DSS she has provided career coaching and placement services for the Alabama Department of Rehabilitation Services (ADRS) as well as developed Media Production training for individuals with disabilities. She has also conducted inclusion trainings for such organizations as NASA, the US Corp of Engineers, AL-APSE and the Society for Human Resource Management (SHRM)—North Alabama Chapter. Renee’ Scruggs resides in the Huntsville, Alabama area. She serves as a small business startup coach for the Women’s Business Center of North Alabama (WBCNA). She is also the Director of Diversity & Inclusion as well as Workforce Readiness for the North Alabama Society for Human Resource Management. Ms. Scruggs holds a Bachelors in Communications, a MBA and a Masters in Management and enjoys training, inspiring young people, event planning, networking and empowering others.